One of these days, I'll get it together enough to schedule the WFMW posts. But, I'm still getting up to speed on this whole blogging thing. Anyway, I've got two little girls, and it's really hard not to compare milestones between the two, one walked at 14 months, the other before she was one, and so forth. Now that they're older, I see that the younger one isn't learning the same things at their day care that the older one learned at her age. Things like name recognition, pencil skills, etc. Mostly due to a difference in day cares. One of the things that I noticed was lagging was letter recognition. Our older daughter did this activity when she was 3 at day care, they cut out the letters from paper (the teacher did that part) and then they glued things to it that started with that letter (yarn on Y, etc). So, I've started to do the same thing with my younger daughter. I print out the letters from Word, cut them out and then she puts stickers on it of things that start with that letter. She views this as her "homework" and does it while her sister does her homework. Then, I hang the letters up on the wall in her room and when we're getting dressed or ready for bed, I ask things like "Which letter is Abby on?" "Which letter is Cinderella on?" and so forth. We're up to F so far and she's doing really well with remembering what we've done. So, it definitely seems to be working for us. 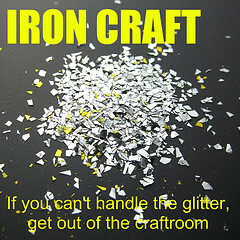 For more great ideas head over to We Are THAT Family. They're all different sizes and shapes, which makes stacking them neatly hard. I usually did NOT buy boxes of diapers at Sams club because they were cheaper if I used a coupon at Walmart or Kmart and I often had a coupon. Storing clothes in the coordinating size diaper box was not feasible for my kids. They were out of diapers at age 2 and diaper size 4. So using the boxes at Sams that would give me three box sizes (they have 1-2 as the same size, or at least they did) and a LOT more clothes sizes in there (0-3 months, 3-6 months, 6-9 months, 9-12 months, etc). They're usually close enough to the same size that the lids are interchangable even between brands. Since the lids are interchangable, label the lid with the size, then you can empty one box with the new bigger clothes, put the small clothes in that box and just put the right lid on the box. They're often designed for storage so they usually have a spot to list what's in them. So, if you know someone who works in a big office, ask them if they're willing to save the boxes for you. They work nice when you're moving too, again because they stack easily. 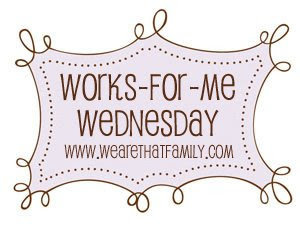 Head over to We are that Family for more Works for Me Wednesday posts.